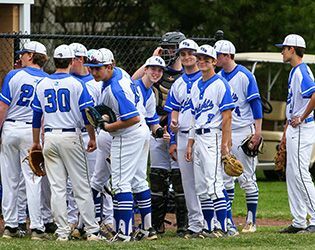 After some weather-related postponements, varsity baseball will play at home this afternoon in a non-conference matchup against Whippany Park. Looking ahead, the boys will face Ridge High on Saturday at noon in the second round of the country championship. In addition, next week brings three divisional conference games; with the team currently second in its division, those contests will be key. A gallery of baseball photos is online now. Stay tuned for additional galleries featuring our spring teams.